Both interior and exterior doors are made from a variety of materials, the most common being wood that sometimes is in combination with glass. All-wood doors are made from either affordable softwoods or, at the higher-end, more durable and elegant hardwoods. 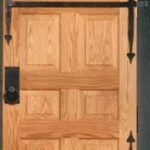 The look of wood doors has always been a favorite—although doors can have a variety of appearances, most are designed to look as though they’re made from wood even if they’re not. 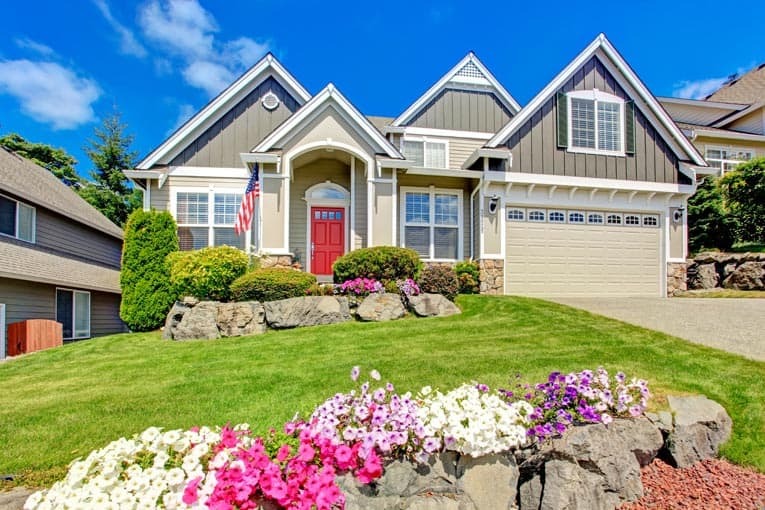 For exterior doors, non-wood materials such as steel and fiberglass are excellent at simulating the look of wood yet are more affordable, have a greater insulation value, and require far less maintenance. 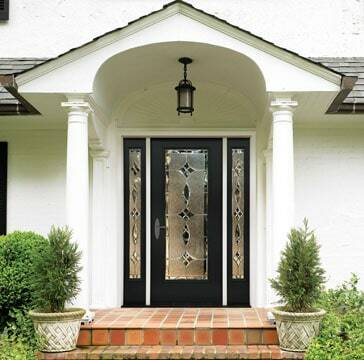 Fiberglass-composite exterior doors, made from a core of rigid insulation clad with a fiber-reinforced polymer, are often embossed with artificial grain so they look like wood. Steel exterior doors, made of heavy-gauge galvanized steel over a core of rigid foam, are strong but do a less convincing impersonation of wood. Their surfaces are typically coated with a polymer or vinyl and are wood-grain embossed. 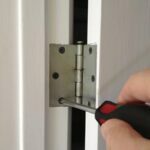 You can also buy exterior doors made from solid wood (planks or blocks glued together and sanded), veneer applied over solid wood, or veneer applied over a hollow core. 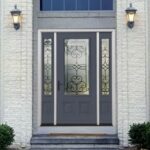 Wood doors naturally insulate better than glass, so if you buy an exterior door that includes glass “lites,” opt for high-performance glazing and integrated weatherstripping, especially if you live in a cold-winter climate. 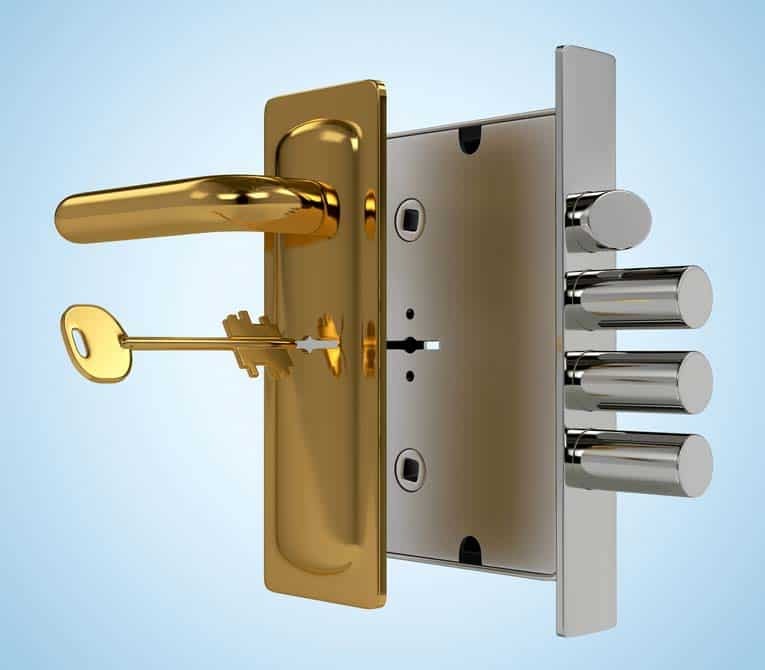 Composite and steel doors provide more insulation than glass and better security than wood. Standard doors are 6 feet, 8 inches tall and vary in width from narrow 12-inch-wide “cupboard” doors to 8-foot (or wider) sliders. As shown in the illustration above, panel doors are made from a framework of stiles and rails that hold wood panels. This construction method is common because it minimizes the effects of wood’s tendency to shrink, warp, and swell with variations in humidity. Some panel doors have glass lites rather than wood panels. The glass may be clear, beveled, etched, leaded, ornamental, or a type of energy-efficient glazing. Panel doors are generally referred to by the number of panels they contain (for example, an eight-panel door has eight). 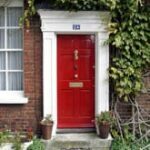 Flush exterior doors often have a core of solid foam. The face veneers are usually applied in two or more “cross-band” layers—with the grain running perpendicular to minimize warping.